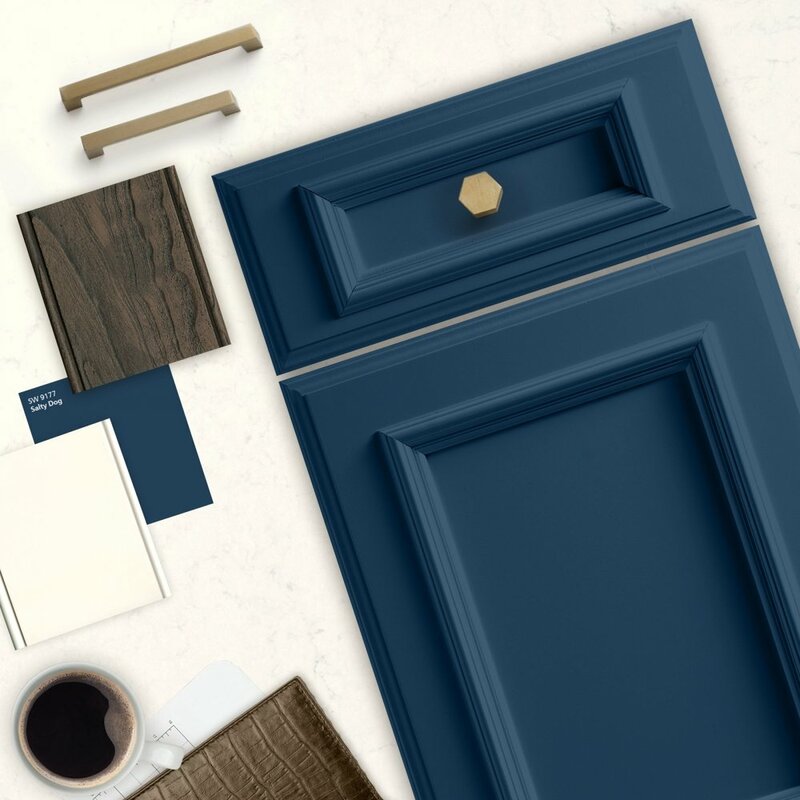 Ignite your inner design artist with our series of inspirational “color stories” has been crafted to illustrate complementary finish pairings to the new cabinet collection from Medallion & Design Craft . Explore the color PALETTE to begin your creative color journey! We have 27 NEW Colors available to bring your project to life! 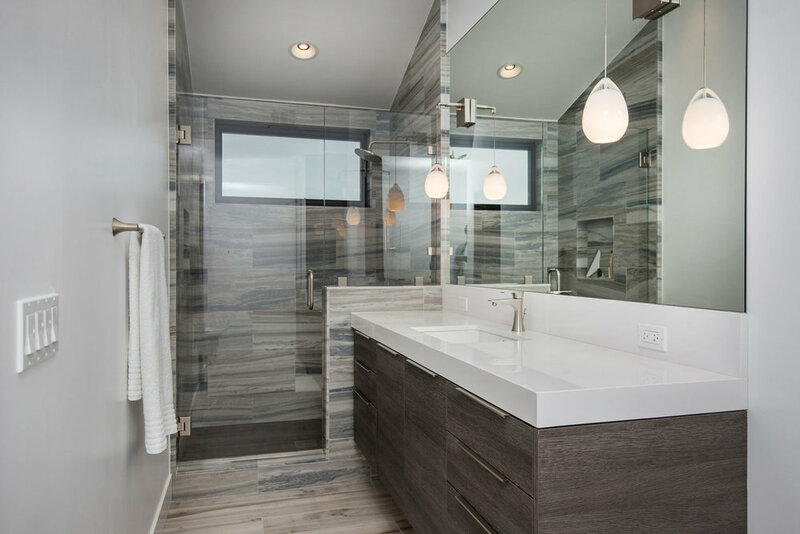 We are currently working on several bathroom projects that will be just as stunning as this bathroom. I am sure our clients believe that as well. Most contemporary, upscale residential homes and estates feature an open floor plan, where the kitchen is the heart of the home and hub for entertaining. Discerning home owners have a unique lifestyle and designing the perfect kitchen layout with maximum use of space is a necessity to the overall success of a high-end kitchen design. Top kitchen designers specify custom milled and painted cabinets to add more storage, greater efficiency of work flow and to add splashes of color where needed. Matching door panels are applied to cabinet ends to give a more finished and tailored look. Our client desired a bespoke farmhouse kitchen and sought unique items to create this one of a kind farmhouse kitchen their family. We transformed this kitchen by changing the orientation, removed walls and opened up the exterior with a 3 panel stacking door. 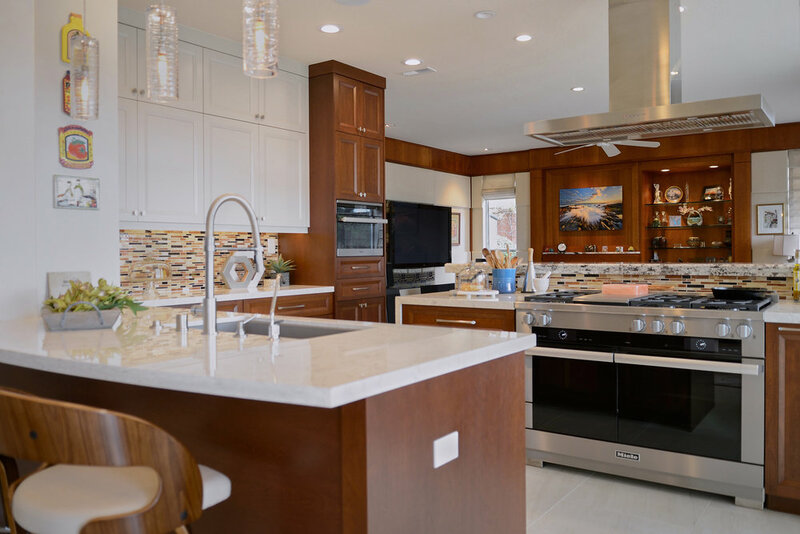 Whether you cook in your kitchen or have your own personal chef cooking for you, professional grade home kitchen appliances are a must in every upscale high-end kitchen design. 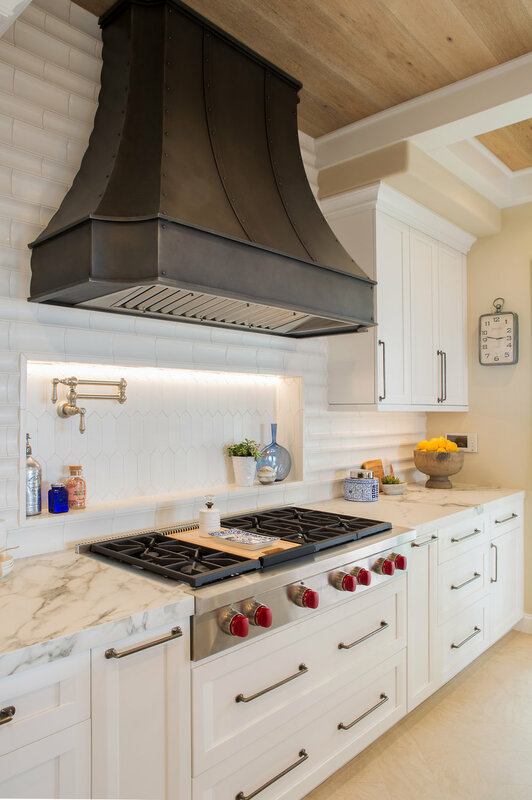 The oversized pendants are the subtle frame work for an artfully made metal hood cover. The statement hood which I discovered on one of my trips out of California inspired the design and added flare and style to this Newport Coast home. Nothing is as it seems, the white cabinetry looks like shaker until you look closer it is beveled for a sophisticated finish upscale finish. The backsplash looks like subway until you look closer it is actually 3d concave tile that simply looks like it was formed around a wine bottle. We added the coffered ceiling with wood detailing creating a warm enhanced detailing for the kitchen space. 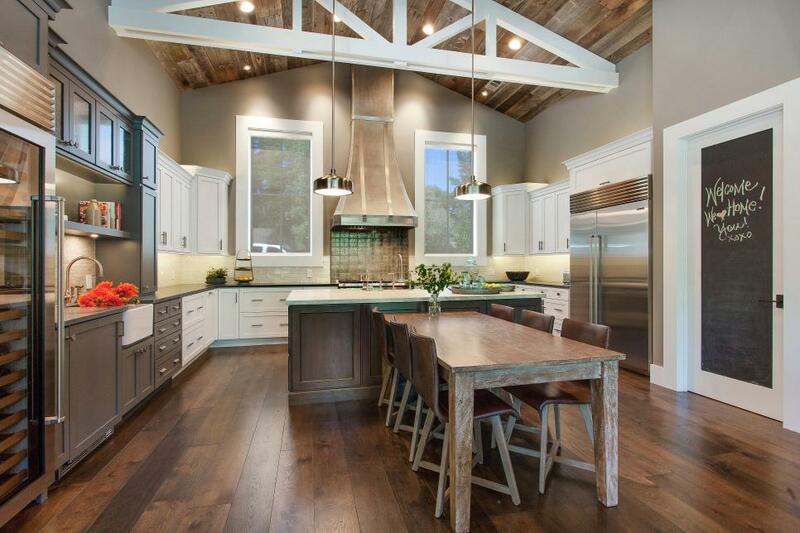 The custom cabinetry then was made to match the oak wood on the ceiling. 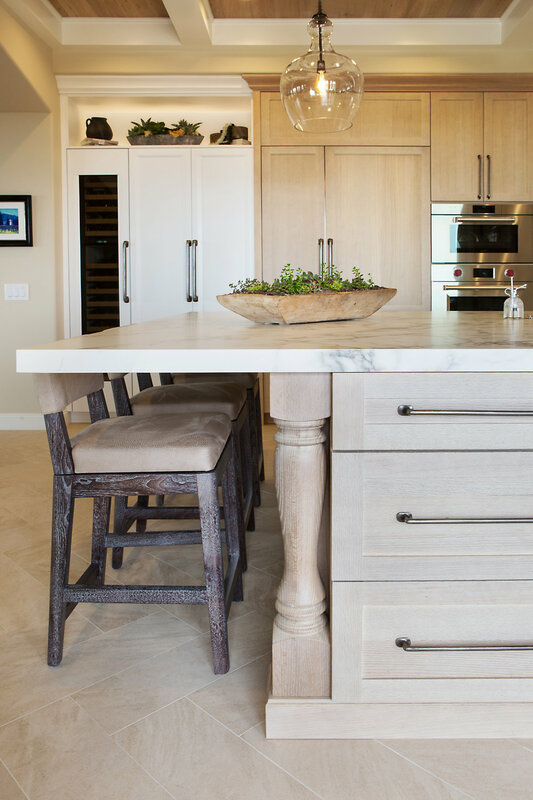 The pedestal legs on the island enhance the characterizes for the cerused oak cabinetry. Small room reinvented. There was a small space next to the entry way that was not being used so we decided to create a wine room, more for a look or an experience that to be actually used for wine since we just installed a full height subzero wine cooler into the kitchen. The wine room as custom metallic tile that creates a mood flanked by custom iron doors to close off the small wine room. 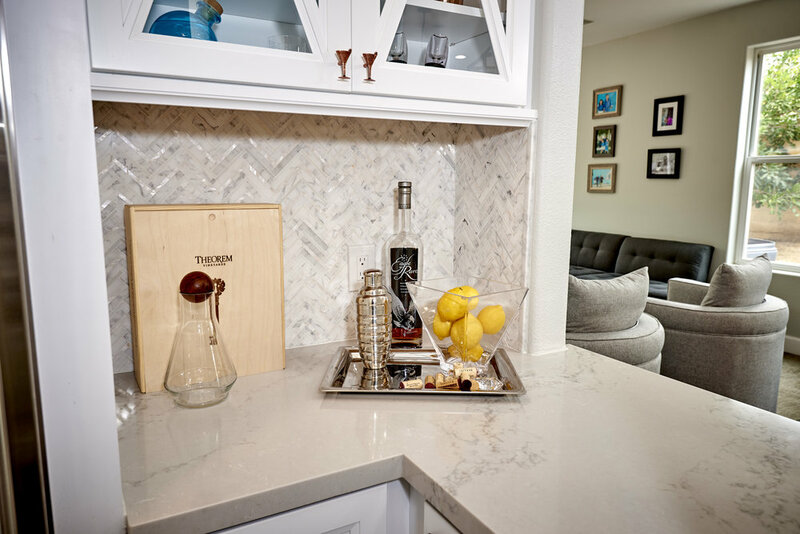 A gifted kitchen designer knows that extraordinary kitchen design is all in the details will thus use each and every custom cabinetry option at their disposal to create inspiring kitchens that personalize and highlight the heart of your home. No matter what your specific design style, any of these luxury kitchen details will leave you feeling at home to love your new kitchen. 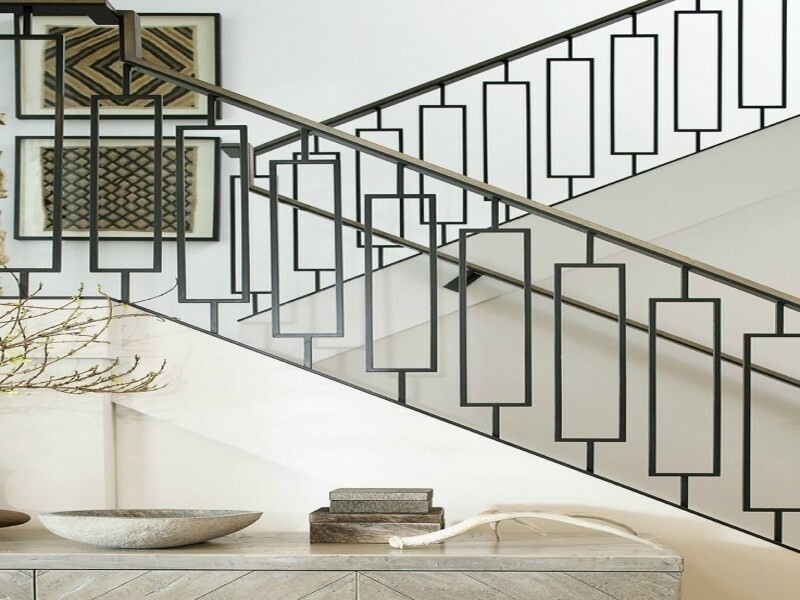 The vast Internet provides various inspiration sites to get the ball rolling, but it’s important to choose the details with your interior designer that will make the space your own. 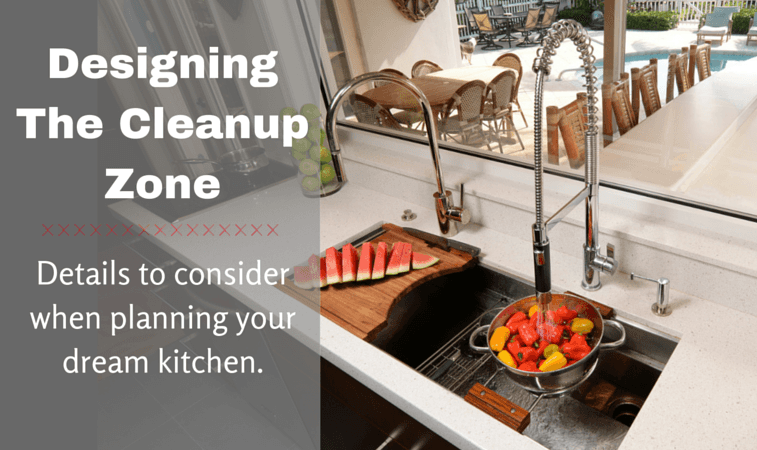 By following these key interior design aspects, your dream kitchen will be well on it’s way to becoming the ultimate, five-star, first-class, top-of-the-line ultra luxurious heart of your home. A fireplace can be a beautiful addition to your home and much more than utilitarian. They can be an important part of the design of your room and possibly even the focal point. The trick is to find your personal style, what inspires you for your personal home. Of course, with so many designs to choose from, it can be difficult to know where to start, so it’s important to really evaluate your needs. In this way, you can be sure of making an investment that will make you happy. Some of the latest fireplace designs are multi-dimensional fireplaces. Some fireplaces have many dimensions because they can be seen from more angles than just head on. Corner fireplaces can be viewed from two sides. Check out this modern corner fireplace from Regency. 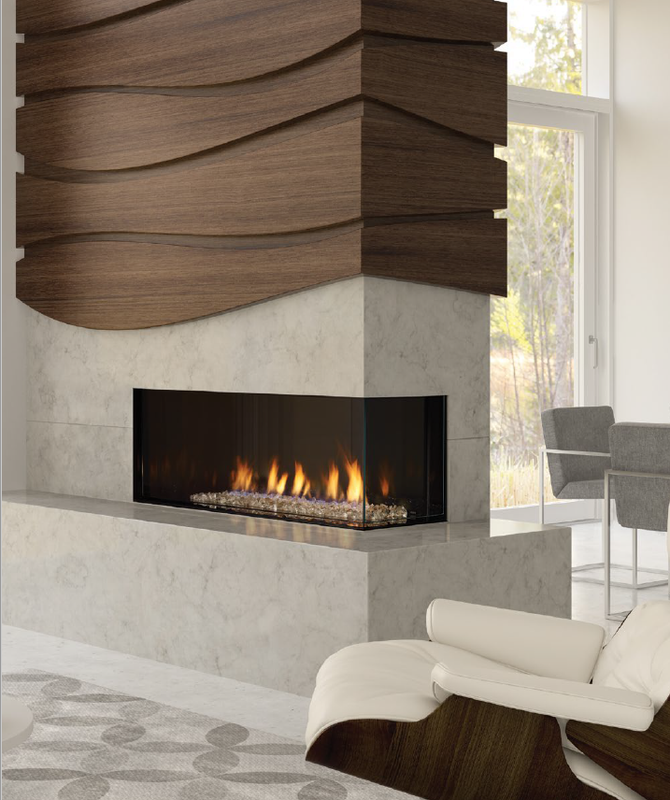 Even materials like abalone shell and other exotics could line the exterior of these fireplaces. 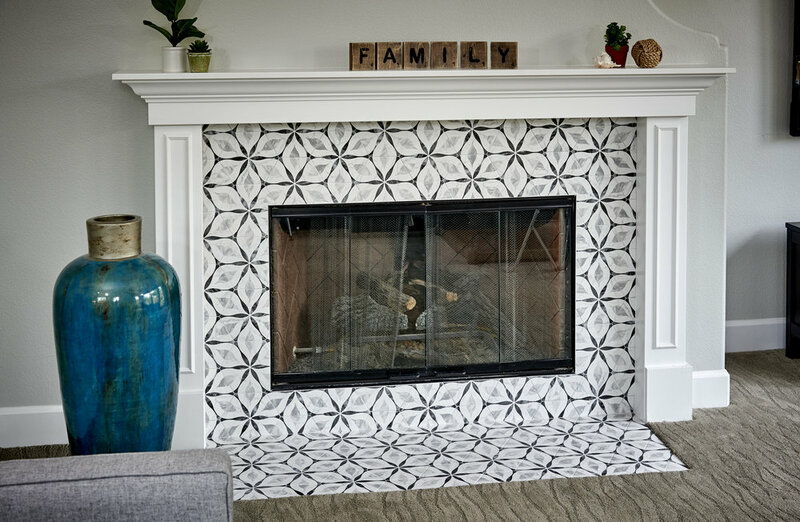 When it comes to picking the best tile for refreshing an old fireplace, pattern matters. 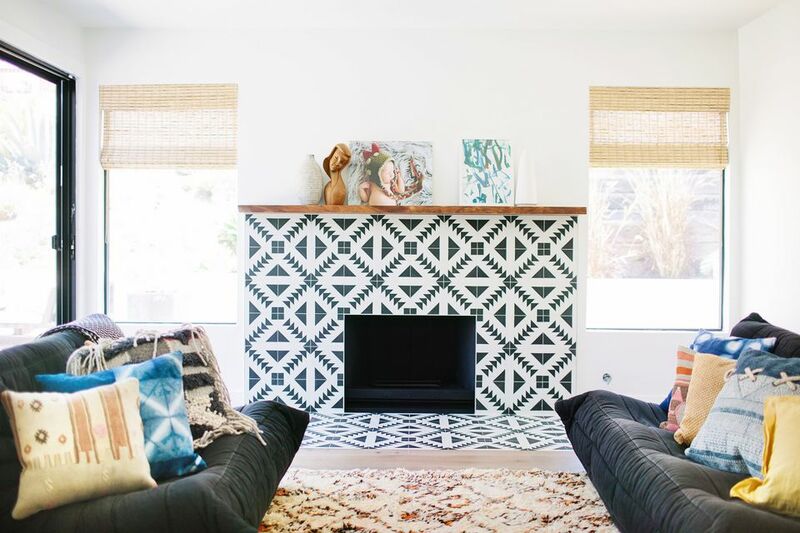 Interior designer Holly Mathis uses mosaic tile in a herringbone arrangement to update a modestly sized fireplace. The zigzag pattern spices things up without upstaging everything else in the living room. We have seen a big push for turning back the clock at home by adding a little vintage style to your contemporary fireplace. For instance, this retro family room by Jennifer Weiss Architecture keeps things fresh with midcentury-inspired, sculptural tile that goes up to the ceiling. Mid century can have a modern fresh look in today's interior design. A fireplace is supposed to be an attractive focal point. But if yours is grabbing attention for all the wrong reasons, consider giving it a face-lift with beautiful tile. There are plenty of stylish options available that will transform a fire surround into a feature you will adore. Are you ready to make that transformation? Seek the help of an Interior Designer so that the results fit your home’s look and functionality. 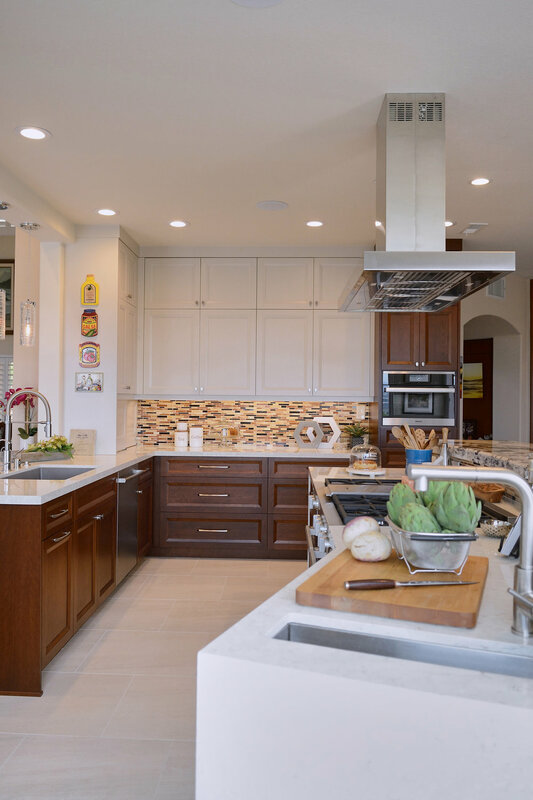 Bonnie Bagley Catlin of Signature Designs Kitchen Bath in Carlsbad works all over San Diego and Orange counties assisting homeowners with the right configuration of their spaces. Let Bonnie build you a new fireplace, whatever your style happens to reflect. Who doesn’t love the little black dress? Well we think kitchens are the black dress of your home. The best way to finish your little black dress is the jewelry, hardware and lighting are the jewelry to your kitchen design. Mixing metals are how clients are showing their personality in the kitchen and it’s functional and beautiful at the same time. 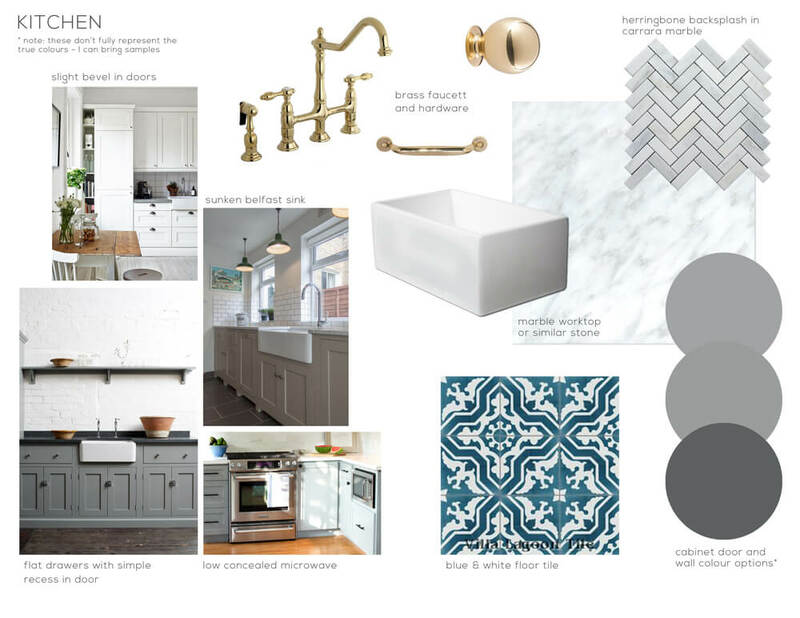 You can say that mixed metals are a design trend for 2018, but there are not a lot of rules in design and its one of the things I love to do with my clients to personalize their design. 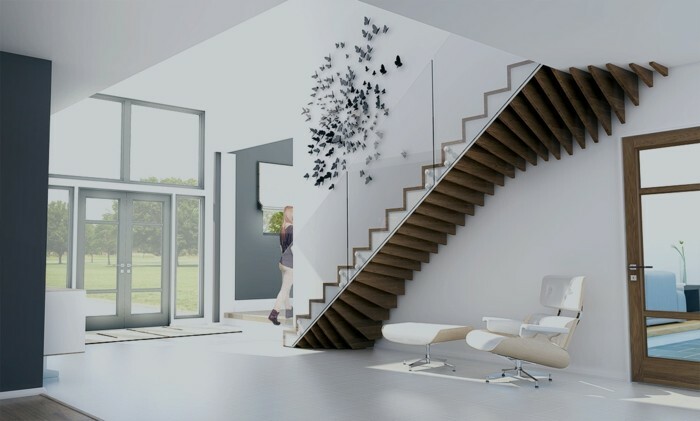 Adding this layer to your design can elevate the sophistication of the your home. Rose gold is not only a staple and trend in jewelry this season it is also a luxury metal to have in your kitchen. If you like really clean and straight lines then bar pulls are the way to go. They work in so many different kitchen designs and they really are a modern classic. 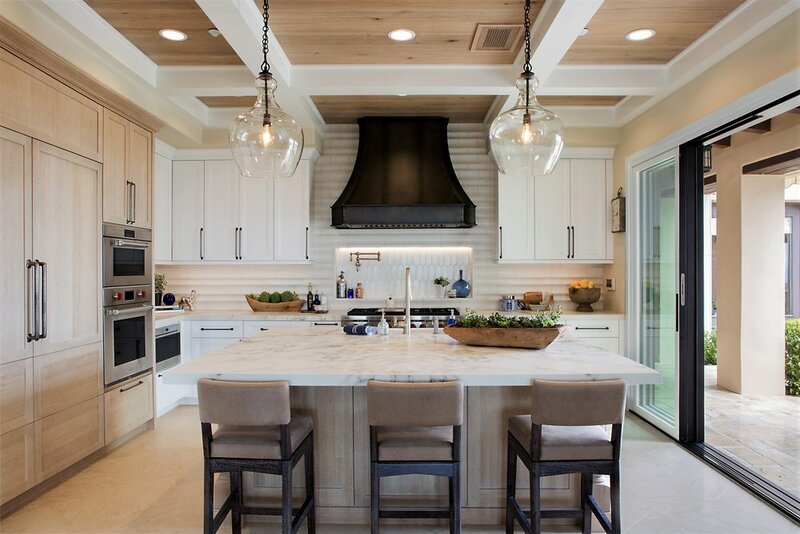 In this kitchen by Elizabeth Lawson Design, they mix perfectly with more traditional brass lighting elements. Add a subtle pop of gold in your kitchen then these are a great option. Unfussy brass knobs in this modern farmhouse kitchen designed by the Sarah Richardson Design Team perfectly balance out the other more dramatic brass highlights in the space. Your kitchen is a big investment but the hardware and lighting are where you can really bring out your own personality. 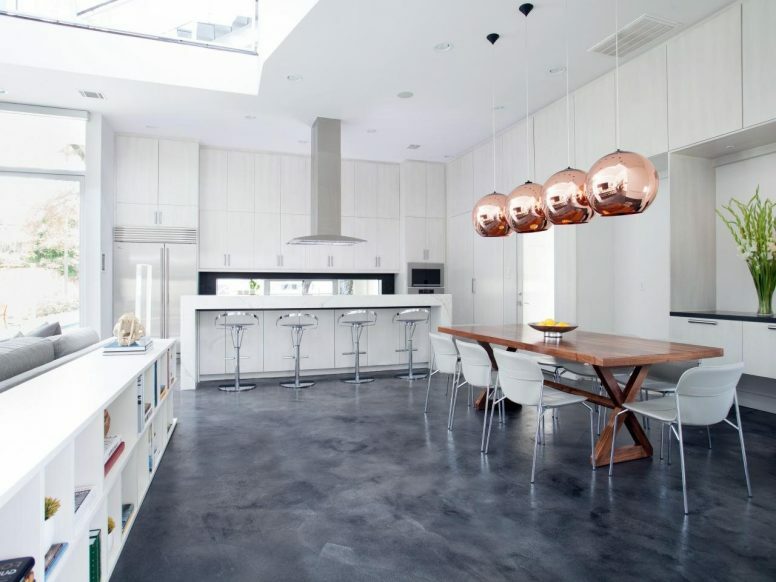 Would you mix metals in your kitchen design? The task was to update the clients condo and breath new life into the space. The kitchen, photographed before the remodel, was closed off, with limited space. There was virtually no storage and the lighting was poor. The biggest issue for the owner, was lacking countertop space and the fact that it was confined to one space, lacking an opening between the kitchen and the dining room. The bathroom was dated and lacked any true style as well. We removed the wall between the kitchen and dining room and reconfigured the layout of appliances and cabinets to create an open floor plan. The cabinets go all the way to the ceiling to create as much storage as possible, yet we had open shelving to create interest. Energy-efficient LED lighting under the cabinets makes the kitchen glow at night. We added a tall broom closet to the right of the refrigerator. We replaced the kitchen's linoleum floor with white oak throughout the condo living room. Additional storage in the living room includes a new built-in bookshelves and TV cabinet in Walnut. The client never opened her windows so the condo was dark and depressing. We actually did a built in front of the window to mount the TV too. The window is still there but now in front of it is a functional and attractive space. After Bathroom Design Open with a Neutral Design. 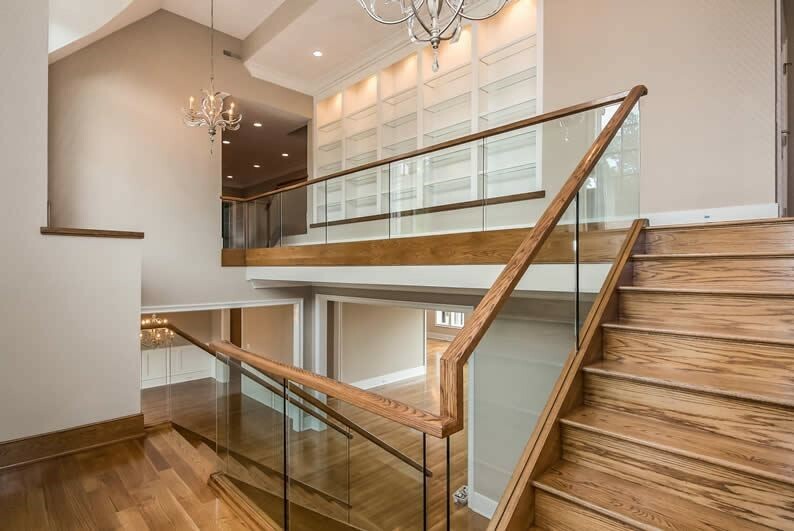 Condo's takes a depth of knowledge to determine what you can move and what you cannot and we partner with the finest construction professional to get the job done right. 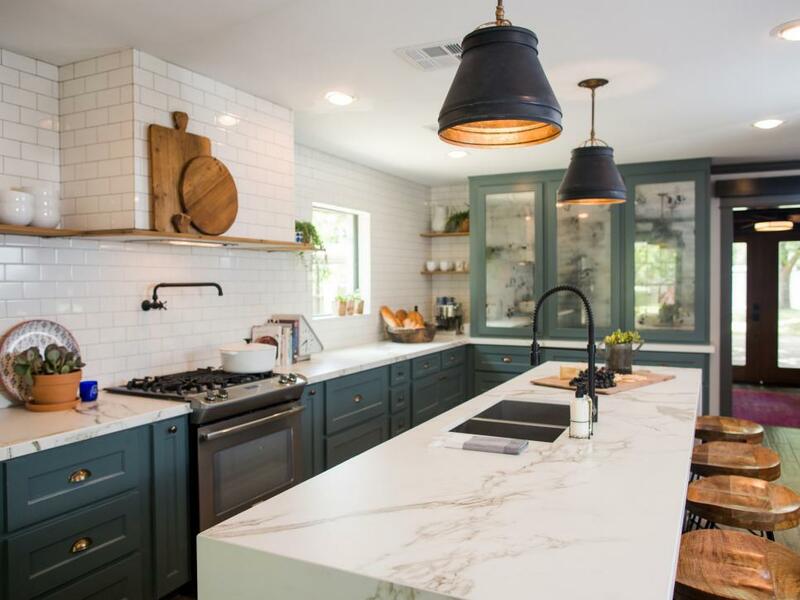 One of the hottest tile trends is the use of waterjet tile and you can see it through California in some of the finest homes in San Diego and Orange County. Some of the most exquistie, beautiful, and detailed tile is created via waterjet cutting. The process is performed by a highly pressurized and concentrated stream of water and mineral cutting abrasives. Water jets are particularly useful in cutting elaborate curves and patterns. In the waterjet machine tool, the pressurized water safely runs to the cutting head through ultrahigh-pressure plumbing. At the cutting head, a high speed air actuated On/Off Valve allows the water to pass through the jewel orifice creating a supersonic waterjet stream. Despite the high psi, waterjets don’t actually cut with pressure but instead rely on velocity. The water pressure is exchanged for velocity when the water passes out of the cutting head’s orifice. The higher the pressure, the higher the stream velocity. At 60 psi, tap water out of a faucet is traveling 64 miles per hour (103 km/hr). At 94,000 psi, the waterjet is traveling nearly 2,500 miles per hour (4,000 km/hr) -- more than three times the speed of sound! Pure waterjet is used to cut softer materials than the glass, stone, ceramic. and metal used in tile. An abrasive waterjet adds a garnet abrasive fed into the cutting head, mixed with the pure waterjet stream, and used to cut the hard materials used in tile. Adding abrasive to the supersonic waterjet stream increases the cutting power a thousand times. An abrasive waterjet, therefore, is a slurry of water, abrasive, and a little air. The Beau Monde line has fourteen different patterns available with over forty different types of art glass available. It is suitable for all indoor wall application and comes on clear Mylar sheets. 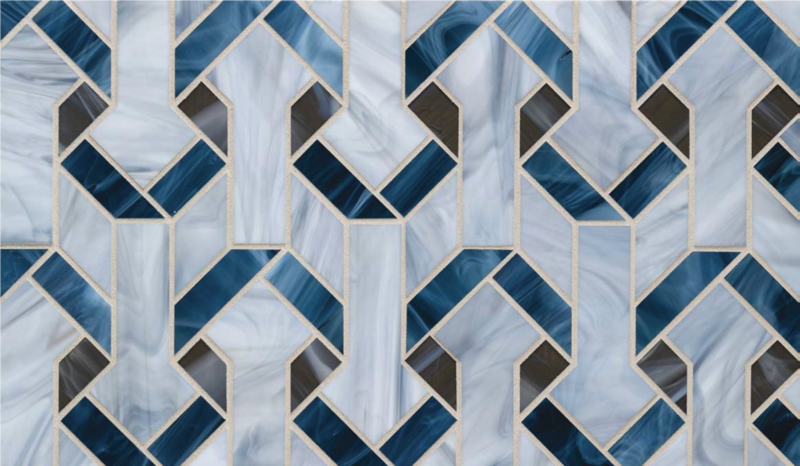 Artistic Tile has an expansive line of waterjet patterns using different materials including glass, marble, and mother of pearl. Endless customizations are available. A couple more examples from Artistic Tile follow. They are all made of what Artistic Tile calls gloss glass or Symphony Glass. They were inspired by Lauren Harper’s designer jewelry. She is a personal favorite of Artistic Tile’s CEO and Founder, Nancy Epstein. The Agate pattern is made out of lilac gloss glass. 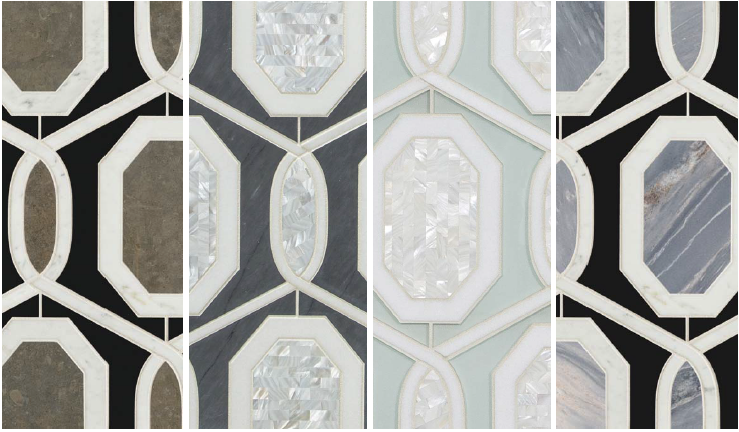 New Ravenna is another tile maker that specializes in stone and glass mosaics, many of which are waterjet cut. There is a lot of flexibility in material use and finishes, which include polished, honed, tumbled, Venetian honed, SeaGlass™ and hand-chopped tumbled. The selection of stone and glass is broad and they are all gorgeous. The photos on their website don’t do their tile justice so the following extraordinary high-resolution examples were provided by the company. Be prepared to gush! Kelp Forest By New Ravenna offered in several color variations and perfect for the home or professional space, this glass tile baths in elegance provokes a sense of luxury. There are many more companies and designers that are working with waterjet cut tiles these days with spectacular results. Some are well known and others are lesser known but still create beautiful work. This dimensional tile by Artsaics, who specialize in stone, is a good example. 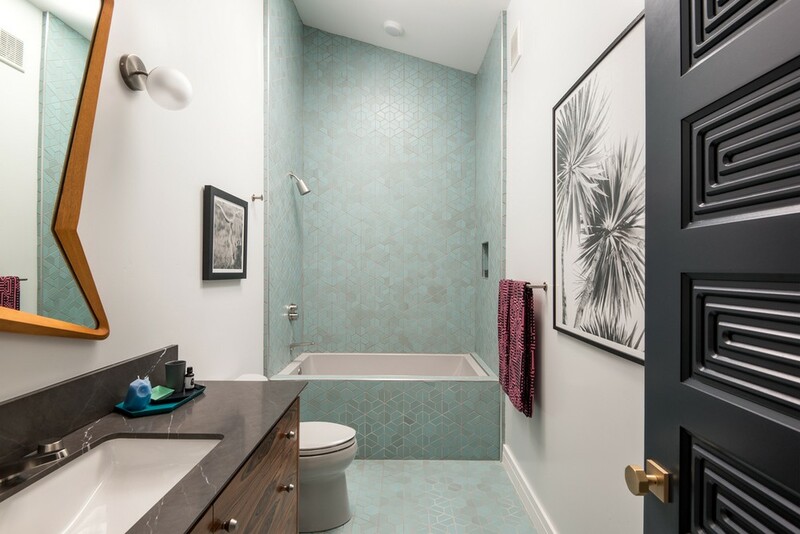 Consult Bonnie Bagley Catlin, your local San Diego bathroom designer for help in selecting the perfect tile for your home. 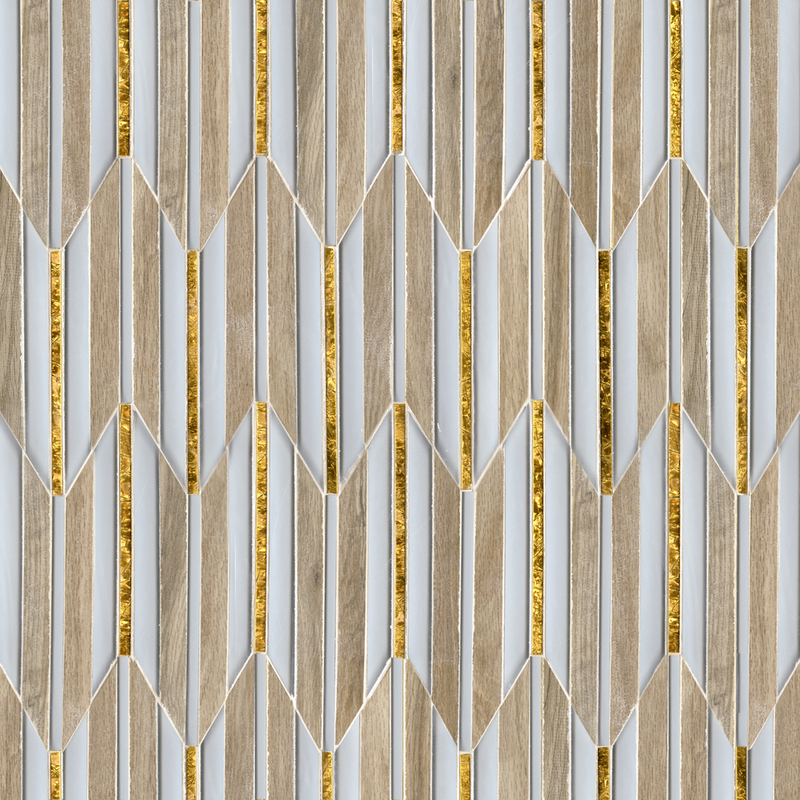 You deserve this beautiful tile! Everyone likes before-and-after pictures, particularly when the change is dramatic and the result eye-catching . Kitchen Bath & Certified Interior Designer Bonnie Bagley Catlin of Signature Designs Kitchen & Bath designed a luxury transformation in Central San Diego. The clients, like many folks in this region of the country with its balmy Mediterranean weather here in San Diego, love to bring the outdoors in and indoors out. That is one of the main features in this home remodel. The nationwide trend toward great rooms and open continuous space versus separate rooms for every function marks this redesign as well. The general kitchen area has been the focus of the home for years, but it took a while for enlarging the area to become established. This home exemplifies the move, removing chopped up little rooms to create an expansive entertainment area. 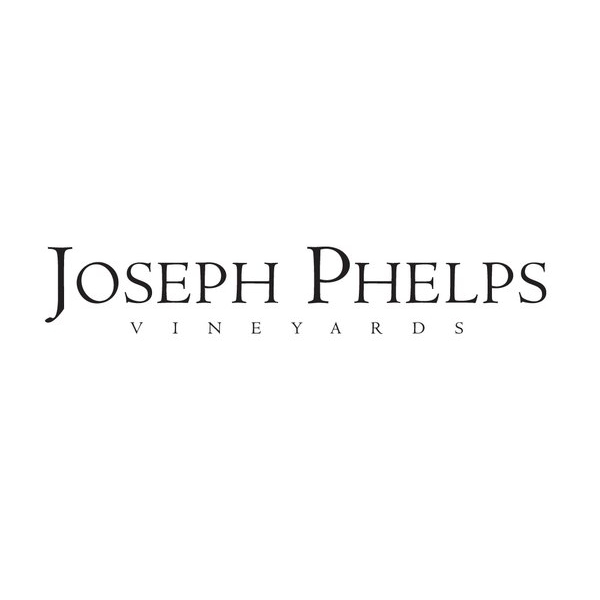 The clients often have guests over, sometimes as many as forty, and will use that area to its fullest. Bonnie Bagley Catlin’s design fulfilled a number of the clients’ other requests as well. They had gone to see some large design/build firms in the San Diego area, but none of them really listened to them like Mrs Bagley Catlin. The retired professional husband was an avid chef and wanted the finest luxury appliances. 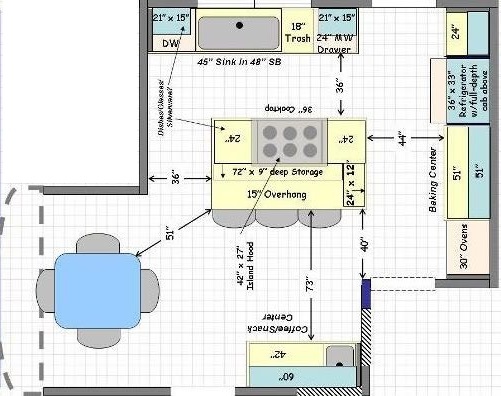 He dreamed for a kitchen large enough for him to cook in with many visitors present. The after space with the high ceiling it was imperative that we were able to raise the beam as high as possible in that part of the house. As the wall is opened up the way just blowing out that one wall opens up the kitchen is amazing. Moving the dining room into what was previously the living room not only gave the dining room a larger space, but allowed for more entertainment area. In addition the former dining room became a sitting room, creating more entertainment space lending towards the clients desires for more of that indoor-outdoor living. The La Cantina Bi-Fold door really added to bringing in the outdoors as well. 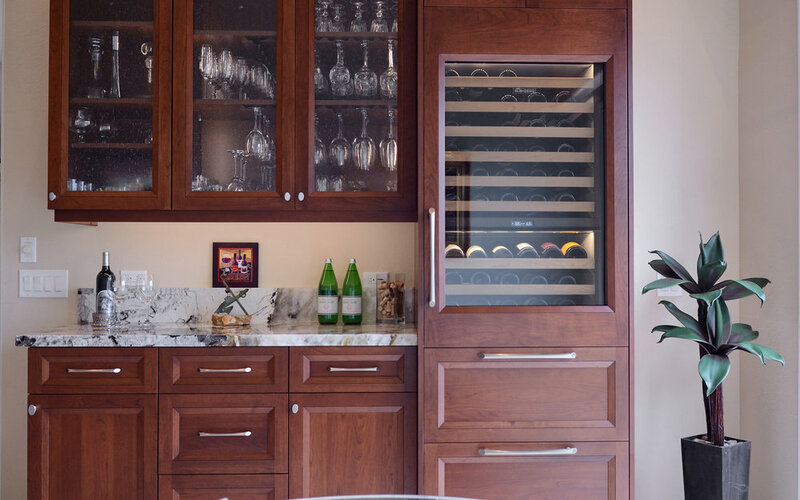 By adding on to this client home in the dining room permitted for extra square footage that allowed us to incorporate a small glass bar with a full sized Subzero Built In Wine storage. The old kitchen .. . in addition to being small, outdated, and dark, there was an unnecessary soffit on the ceiling that was removed to increase overhead space. Coupled with knocking out the wall to the dining room and the addition, that side of the home went from average to fabulous when it comes to entertaining space. The outdated Tuscan kitchen has an entirely new look and feel. This kitchen went from cluttered . . .to gorgeous, spacious, and much more functional. Center stage in this kitchen are custom cabinetry with a bevel detail and Sherwin Williams Modern Gray for the light cabinets. The built in buffet in the nook was replaced with refrigeration provided by two Sub-Zero integrated units, one all refrigerator and one all freezer. The increased space comes even though the island length increased and extended into the former breakfast nook, eliminated in Signature Designs Kitchen Bath space layout, provide more room for mingling between the guest and the chefs. 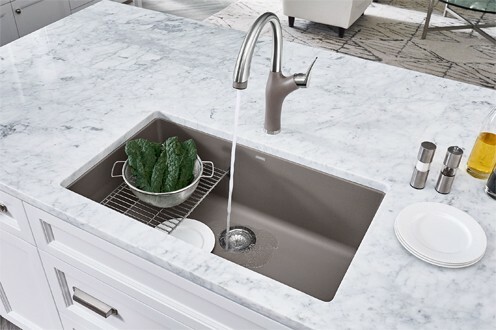 There are now two sinks, one of them being a truffle-colored Blanco America Precis™ Super Single Undermount Sink. The precious stone in the kitchen. BLANCO sinks made of SILGRANIT stand out thanks to the elegance of the beautiful colours and attractive designs. SILGRANIT consists of 80% granite, which makes it ideal for daily life in the kitchen. The Miele ovens are located at the opposite end of the kitchen from the refrigeration system. 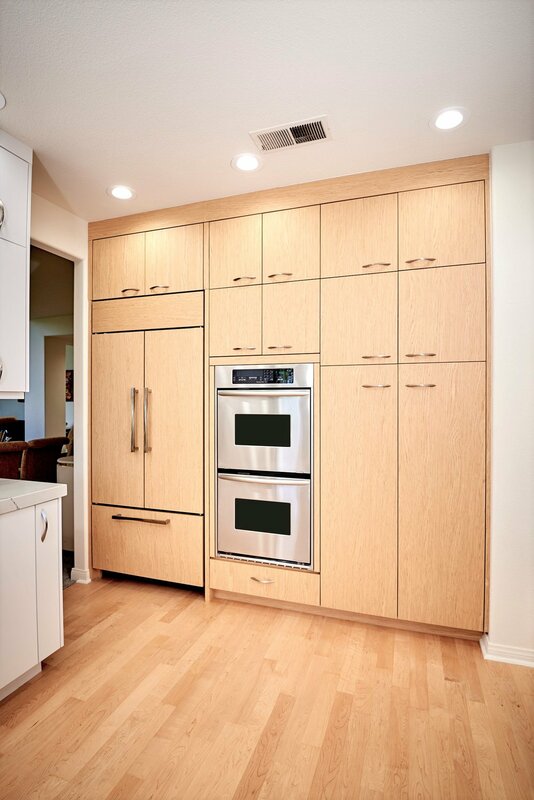 The top-of-the-line cooking appliances include a 48” dual fuel range/oven combo that’s incredible. It has six gas burners plus a griddle plus a convection over with controllable humidity levels plus a warming drawer plus a rotisserie plus a Sabbath mode. The second over is also a Miele, this one a combination convection and steam oven. Two different types of counters were used in this design. 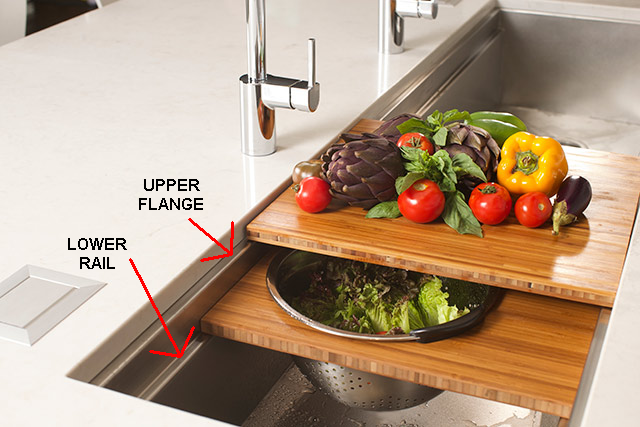 Bonnie of Signature Designs Kitchen Bath specified a Silestone® natural quartz composite sink for the working areas. 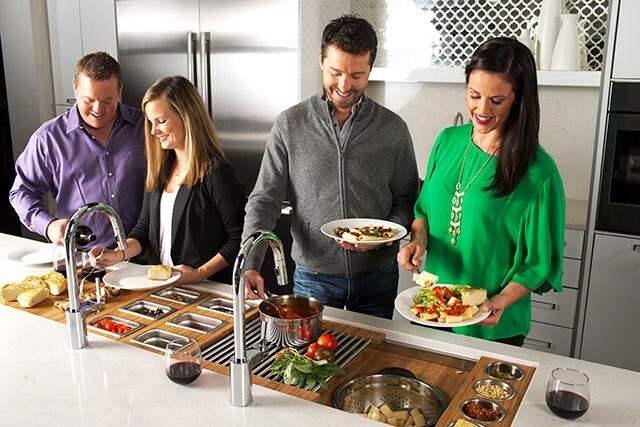 Silestone® is extremely hard and resilient making it perfect for cooking areas. 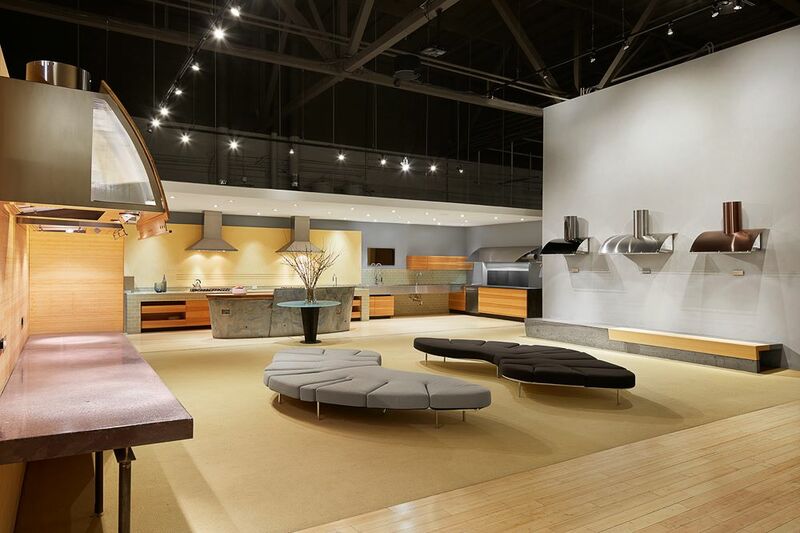 Its non-porosity lends Silestone® its highly stain resistant quality. However, a beautiful piece of Quartzite graces the part of the island where diners and drinkers will hang out. Granite and Quartzite is porous and needs to be sealed on a regular basis to maintain its striking esthetic quality. Whereas dining at the old island was not something to be appreciated . . .using the new island will be a sensual experience, with beautiful granite and the delicious smells from the nearby range/oven . This incredible home remodeling project could not have been done without the general contractor that Bonnie Bagley Catlin partnered with Remcon Remodeling. The unerring attention to Bonnie’s design and technical craftsmanship made this project work. Photographic credit for the “after” pictures goes to Maria Pablo Photography. Is that wallpaper? Yes wallpaper resurgence is stronger than ever with more and more custom manufactures surfacing. There are so many options that is hard to decide how to take that first step. There’s something about a wall covering that adds that extra element of color, energy and texture to a room. Wall coverings provide a way to unite a space together and enhance its overall effect. Wall treatments create a warm, cozy look for any room that meets the needs of any discerning homeowner. With a wide range of style, from textured, grass cloth to floral patterns San Diego Bonnie Bagley Catlin of Signature Designs, is sharing some of her favorite wall coverings she uses when designing homes for clients. Whether its paper, fabric, something with pattern, or just texture, our walls are a great opportunity to create a great backdrop for interiors. There’s not much that says custom quite like wallpaper (naturally because it is much more labor intensive than a paint job). 1, Strong Patterns: Design trends coming from Palm Springs and LA designers are bringing designs to life with bold patterns and colors. Kelly Wearstler is know for her strong pattern mixing. 3. Iconic Wallpaper Patterns are always a great choice. 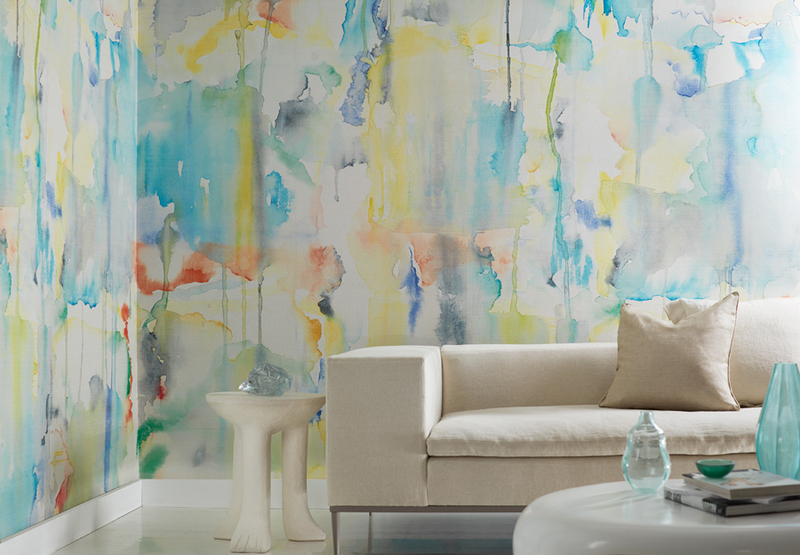 York wall coverings offer Candace Olsen Couture collection. -Rich classic patterns for elegant looks. This magnificent Candice Olson collection reinterprets classic luxury with a style that is simple. The bigger the pattern, the bolder the design. When designing with oversized and dynamic scaled patterns, it is important to consider the space you are applying the wallpaper to. Whether you’re looking for something more refined or something daring, Wallpaper is still an amazing option for interior design needs. 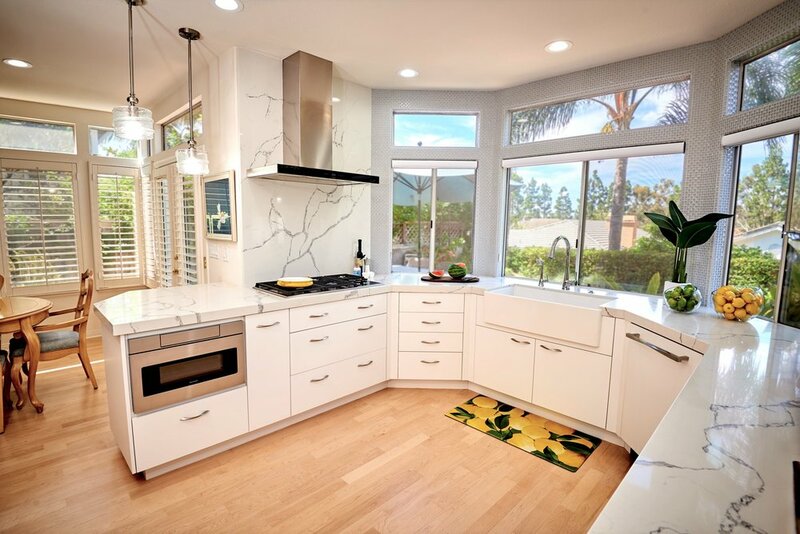 As the Chair of the ASID Kitchen and Bath & More Tour, we are thrilled to share with you that we had twelve remarkable homes created by San Diego Top Kitchen & Bath Designers. 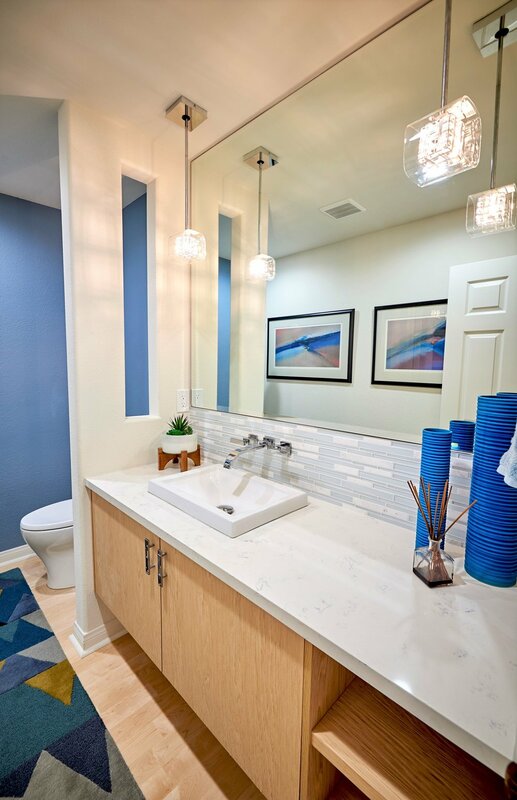 We showcased 12 homes with the latest advancements in kitchen & bath design. As the progressed we has steady flow of consumers that visited each home with an average of 100 to 150 people to the 12 homes. 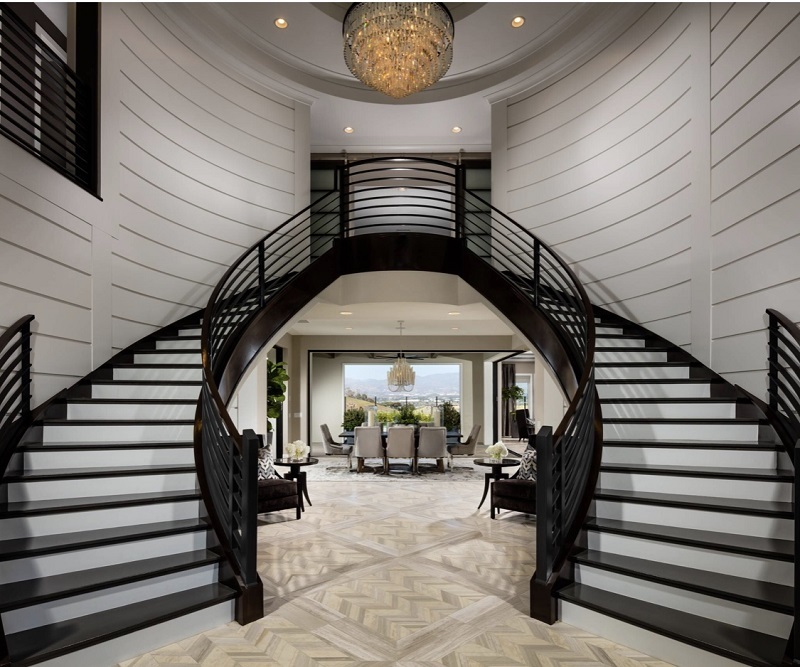 It is the perfect way for clients to meet members of the American Society of Interior Designers have created some of San Diego County’s most stunning properties. 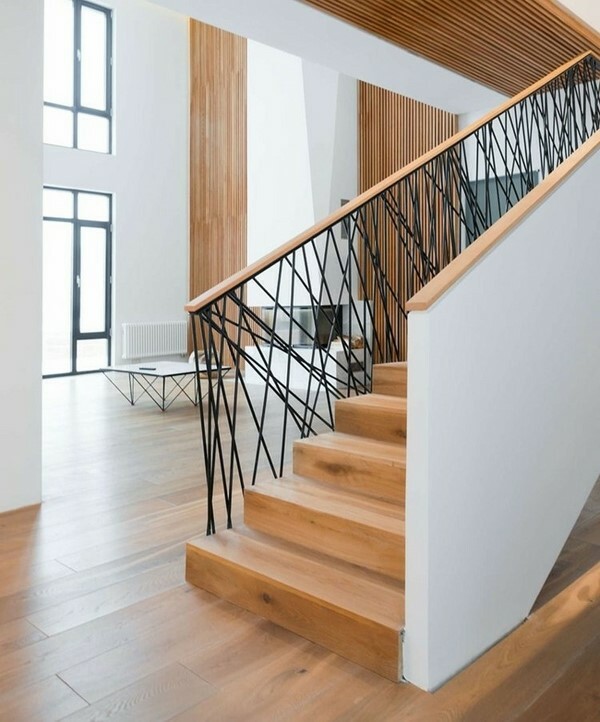 professional designers have the skills and talent to assist discerning homeowners with projects that combine beauty and function in residential exteriors and interiors. Our ASID Kitchen Bath Home: Our clients Solana Beach home with ocean views was transformed to maximize the living area, creating a great room experience for a young family. The results emphasize the family bonds, connecting the cook with their friends and family members. After removing the dividing wall and opening the rooms, the home was re-imagined through space planning resulting in a creative family hub. Resurfacing the fireplace gave birth to a modern focal point. The residence is now flooded with natural light, capturing the energizing color palette, rich with bold colors and layered with textures.